Special programs are available for businesses looking for new vehicles. 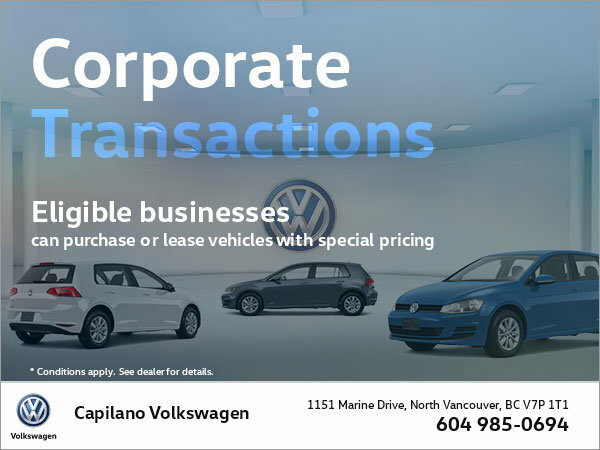 Through Volkswagen credit, eligible businesses are offered retail financing, driver's option, and lease capabilities when buying or leasing vehicles with Capilano Volkswagen. To find out if your business qualifies, please contact us.